According to its half-yearly report to 24 January, Myer saw total sales rise by 1.5 per cent to $1.76 billion, with second quarter sales up 2.5 per cent to $1.07bn. The retailer also posted strong online sales growth, with an operating gross profit up 0.9 per cent to $714.9 million. However, sales are still below expectations, and EBIDA fell 15.6 per cent to $145.3m. Net profit after tax was also down 23.1 per cent to $62.2 million. Myer’s new CEO, Richard Umbers, said digitisation had changed the way consumers shop, altering their expectations of retailers significantly. 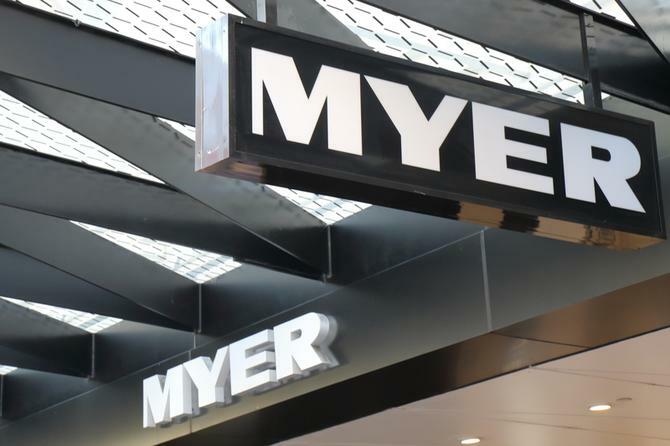 While Myer has been working through a strategic review to better address these modern demands, he conceded the retailer had not yet done enough to meet these higher expectations. “Some elements of the existing strategy represent solid retail fundamentals. Overall, however, it did not deliver a business model able to respond to this new retail environment and we have lost relevance with some customers,” Umbers said. Umber said Myer’s new strategy is aimed at bringing “the love of shopping to life” and will be focused on winning back market share, responding faster to change, and delivering a sustainable recovery in earnings. Key pillars will be customer-driven decision making, building data and digital capability off the back of the Myer One loyalty program to accelerate omni-channel, improving in-store experiences through new ranges and stronger brand emphasis, and improving productivity. Umbers also said a recent customer research project using internal and external data sources had provided the retailer with much-needed intelligence on the current and future Myer customer, including the merchandise and services it should be placing more emphasis on. According to the ASX, Myer trading conditions during the second quarter were challenging, only improving in late December. The Stocktake sale was ahead of last year on a total and comparable store sales basis, however this was not sufficient to make up for the shortfall in sales earlier in the half. The highly competitive environment, together with the overall effect of a weaker Australian dollar, saw gross profit margins deteriorate by 24 basis points. One positive note was the launch of the unique Christmas ‘Giftorium’ concept across all stores, which Myer said helped deliver an enhanced customer experience and generated positive feedback from customers and suppliers. The company now anticipates operating gross profit margin pressure to continue during the second half of 2015.